BB creams have been all the rage, for quite some time now. What's even better is that a few drugstore beauty brands have introduced their own versions of BB creams, at affordable and reasonable price points. I have only tried one BB cream which was on the higher end of the spectrum so, I was excited to give Maybelline's Dream Fresh BB Cream ($10.49) a go, when I spotted it over at CVS. I decided to go for the shade light/medium, in this. And luckily, it seems to be a perfect match for my NC 25 skin tone. Maybelline's Dream Fresh BB Cream has a thin consistency that is easy to blend and work with. I apply this BB cream with a stippling brush and as soon as I start to blend it onto my face, it gives off a sort of cooling sensation to my skin. Feels really amazing and refreshing. After blending, I am left with a smooth, dewy complexion, that looks very natural. I love how this BB cream feels so lightweight, which is perfect for the summer months when one doesn't want to pack on loads of heavy layers of foundation. This product does have a fragrance and to be honest, it was a little overwhelming and not really pleasant to my senses. I can't quite describe the scent but it doesn't stick around for long so, that's a plus. For those who's only goal is to obtain some evening of the skin, this BB cream will do wonders for that purpose. But if it's full on coverage you are seeking, you will be disappointed as this product gives a light coverage, at best. My skin lately has been pretty decent. I haven't been experiencing many breakouts so all that I am looking for right now is something that will even out my skin, and blur out my acne scars. As I mentioned before, this does a nice job at evening the skin, but unfortunately this BB cream is not enough to conceal or blur out my acne scarring. Concealer is definitely a must with this product. I was really impressed with how well this BB cream held up. I have an oily complexion so it was't until 3-4 hours into wearing this product, that the oil started to peek through. But the amount was pleasantly very minimal, though. When I touch up the oily areas with a bit of powder, I am literally set for the rest of the day. The oil on my skin didn't overproduce in excessive amounts which was quite surprising to me because usually with foundations, my face is a major oil slick after a few hours. So in terms of lasting power, this product definitely can hang. 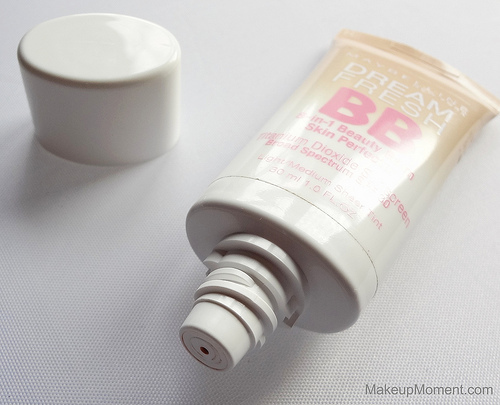 Overall: Maybelline's Dream Fresh BB Cream has some nice qualities to it that I do appreciate. It's affordability, lightweight texture, spot on color match, how easy it blends onto my skin, the dewy natural finish it gives, the SPF of 30, and the fact that it agrees for the most part with my sensitive, acne prone, oily complexion, is a huge plus. Although, I don't think I would repurchase this BB cream again. Only for the simple fact that it doesn't do it for me in the coverage department. Don't get me wrong, it evens out the skin just fine but I am looking for something more. I am the kind of girl who loves coverage and unfortunately, this hardly gives me any. 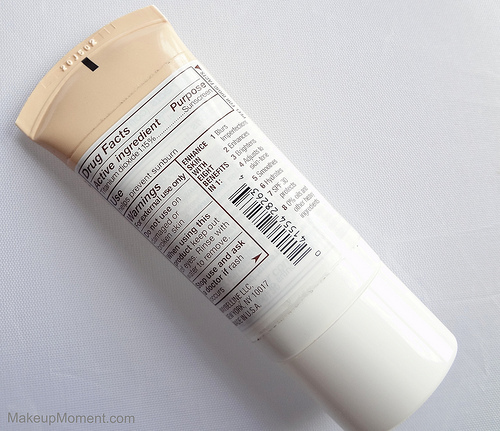 I would say that this BB cream is appropriate for all skin types to use, and is especially a nice option for those of you who have a pretty good complexion, with very minimal issues to conceal, and who are looking for something natural looking, and lightweight. 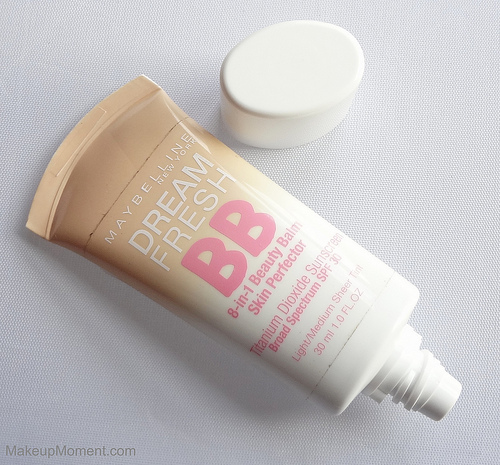 What do you all think of Maybelline's Dream Fresh BB Cream? Which are your favorite drugstore BB creams? Any others that you all think I should try? Disclaimer: I am, not affiliated with any of the companies mentioned above. I purchased this product for my personal use. Hey Cindi, I am glad you found my review helpful! It's awesome that you are loving this BB cream, and that it works for you. 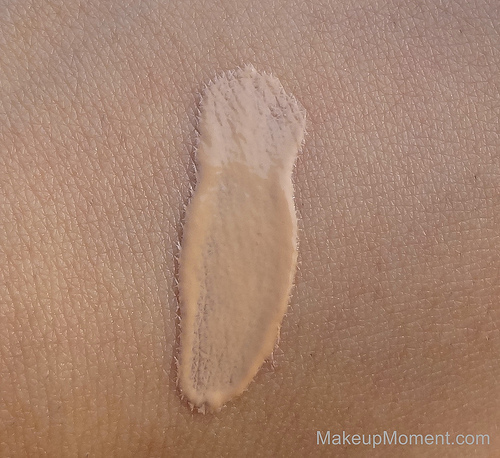 Even though I wasn't crazy about the coverage, I do agree that Maybelline's BB cream does feel very natural on, and it is great how it is so lightweight.